The ultimate one-two punch. A memorable State of the Union speech built around respect for life and opposition to infanticide Tuesday night followed this morning by an equally powerful address at the National Prayer Breakfast. The President was accompanied by Vice President Mike Pence, members of Congress, and numerous members of the President’s cabinet. 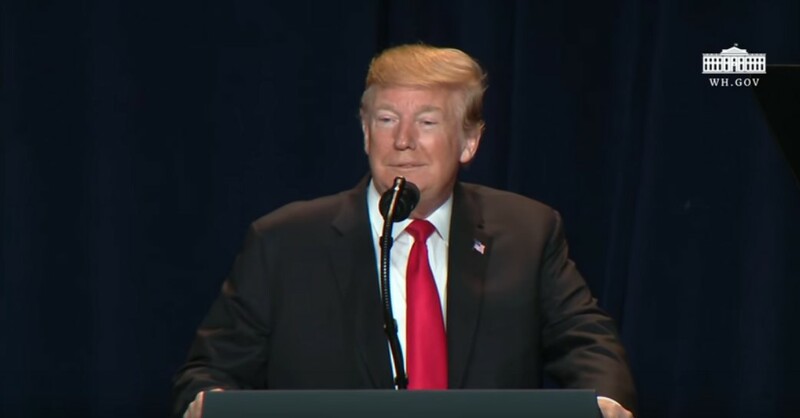 Although he receives great (and unthinking) criticism for it, President Trump has and is a great defender of religious freedom at home and abroad. As we reported in multiple posts Wednesday, in the State of the Union address, President Trump fearlessly criticized the abortion-on-demand law passed in New York and sternly called Va. Gov. Ralph Northam to task for saying that babies who survive abortions need only be made “comfortable.” Anything beyond this, the governor said, is up to the mother and the abortionist. We are reposting a story that first ran in 2010 to remind you the difference it makes to have a pro-life President addressing the National Prayer Breakfast.